Hale Pet Door has always been dedicated to improving the lives of animals and their owners. In normal everyday life this includes providing access and security solutions to the family pets. However, sometimes life is not so normal and the worst can happen in the form of natural or man-made disasters. In honor of National Animal Disaster Preparedness Day, Hale Pet Door is happy to present the following information to try to keep all the family members healthy and safe in event of an emergency. After the devastation caused by Hurricane Katrina and the subsequent flooding where many animals were abandoned or people put their lives in danger to stay behind to care for them, FEMA declared Animal Disaster Preparedness Day. 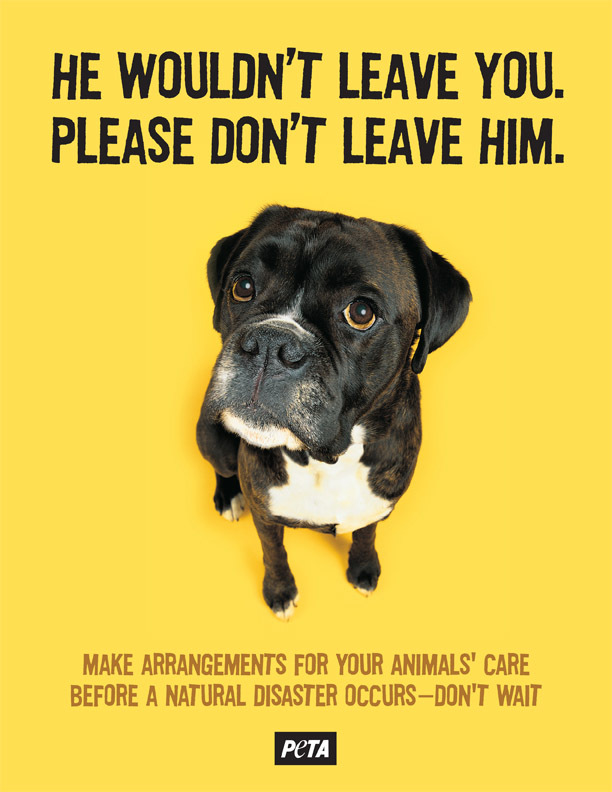 Take some time and make a plan to care for your animals in case of fire, tornado, flood, hurricane or earthquake. · Create an exit plan. Because emergency shelters often won’t take animals, find pet friendly motels or boarding facilities both nearby and outside of the immediate vicinity. · Keep crates and leashes and medications available and ready to go. · Make sure your pets have ID tags securely fastened to their collars or are micro-chipped in case you get separated. · Take favorite blankets and toys and food and water bowls with enough food for a week. · Put small animals in carriers or your dog on a leash. In all the confusion of moving quickly away from danger, animals can spook and get separated from you. · If you live in an area of severe weather events keep a weather radio handy. When severe weather threatens, keep your animals confined in case you have to evacuate. · Share your plan with the whole family. Practice the plan so everyone knows their responsibilities, and everyone can get out safely and quickly.